Day three begins with a one hour drive to Hutchinson, northwest of Wichita. Your first stop will the Kansas Cosmosphere and Discovery Center, ranked second only to the Smithsonian's Air & Space Museum in Washington. It is one of just three museums in the world to display flown spacecraft for all three of the U.S. space programs, Mercury, Gemini, and Apollo. 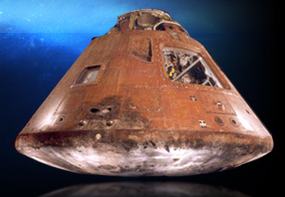 Want to see the real Apollo 13? Cosmosphere. Want to see Gus Grissom's Liberty Bell 7 that ended up on the bottom of the ocean and the dimes that Grissom brought on board? 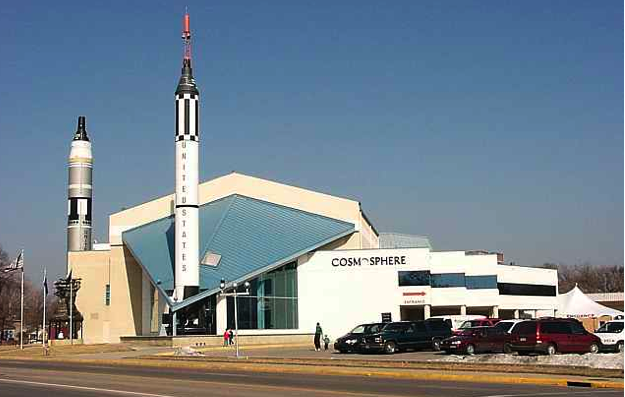 The Cosmosphere raised it and restrored it. Fan of Chuck Yeager and The Right Stuff? You'll see the actual engine that propelled Glamorous Glennis past the sound barrier. Jack Ridley is even memorialized. They even have a real V-1 and V-2, the rockets that terrorized London in WWII. All of this is designed to be enjoyed in a walking tour of the museum (you don't need a guide). After the Cosmosphere, have lunch at the Lone Star Cafe. Then, you have two choices for the afternoon. If you have children, don't miss the Sedgwick County Zoo back in Wichita. I have been to zoos all over the United States and our zoo is one of the best. Clean and easy to walk, the entire family will love it. 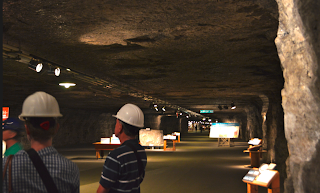 If it is adults only, stay in Hutchinson and visit the Underground Salt Mine Museum (click the link the read the numerous 5-star reviews). Because of the extremely stable, dry environment, it is the storage location of numerous original prints of Hollywood movies, TV shows and historical documents. It is an amazing tour that gets rave reviews. That concludes Three Perfect Days in Wichita. I'll have some concluding remarks tomorrow.